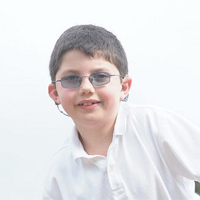 Usher syndrome most often entails hearing loss, visual impairment and balance disorder. The syndrome is generally accompanied by another condition, known as retinitis pigmentosa. The latter is associated with a degeneration of the retina that results in its failure to send images to the brain. Subsequently, there is a progressive loss in vision. Usher syndrome exists in at least three separate subtypes. Type 1 (USH1) and Type 2 (USH2) are very common and comprise as much as 95 per cent of all cases of this condition in children. * Type 1 Usher Syndrome: children with this form of the syndrome suffer from complete deafness since birth. Hearing aids do not normally improve one’s condition and communication is carried out through sign language. Significant balance disorders may also be at hand, which is why the affected children sometimes have difficulties in sitting unsupported or are late in learning to walk. 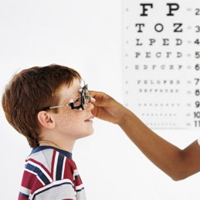 By the time they reach the age of ten, they usually exhibit vision problems. One of its very first indications is that vision becomes troubled in reduced light at night. This subtype of the syndrome is extremely treacherous in that it may cause a progressive visual impairment, even complete blindness. * Type 2 Usher Syndrome: children affected by USH2, unlike those with USH1, have moderate to severe hearing problems since birth. Balance, on the other hand, remains untouched. Hearing aids are a solution here as they help children pass through the school period. The speech and lip-reading pattern can be successfully applied for communication. As opposed to Type 1, Type 2 does not involve such a fast progression of the visual disorders and complaints may first appear as late as early adult life. 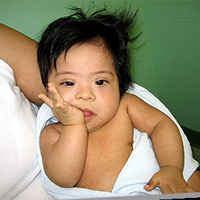 * Type 3 Usher Syndrome: at childbirth, vision and hearing are quite normal but both worsen later on. The process is strictly individual and follows a different pattern. 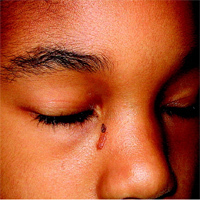 The most apparent symptoms can be noticed by the time subjects enter their late teens. In those affected by Type 3 a complete deafblindness is usually present well into their 40s. About three to six per cent of all children with hearing difficulties have developed the Usher syndrome. It has been estimated that approximately 1 in every 25,000 babies born in the developed countries suffers from this condition. Usher syndrome is a genetic disorder inherited in an autosomal recessive manner. In plain words, it means that a child can develop the condition only provided two genes (one from each parent) are inherited. Most often, every parent carries only one Usher syndrome gene, so the condition is not present in them and they are hardly aware they’re even carriers. Several different genes have been said to relate to the Usher syndrome. They aid the adequate function of the retina in the eye and the cochlea in the inner ear. One or more of these genes are defective in children affected by the disorder. Usher syndrome remains incurable until now. However, its timely diagnosis can do a lot to ensure as normal a life for children affected as possible. Usher syndrome subjects are provided with multiple possibilities to cope with their disabilities, including hearing aids, communication technology, cochlear implants as well as specialised support at school. Counselling is efficient, too, especially as far as one’s future career is concerned. The so-called genetic counseling is offered to those who are planning to set up a family, similarly to the other members of their families. Specialists rely heavily on gene therapy for the treatment of Usher syndrome but it is still far from being fully developed.